From 3rd to 7th September, the Second Interdisciplinary Japan-Dresden Symposium iJaDe2018 will address a large number of research topics in biology, chemistry, mathematics, physics, educational sciences and psychology. The Symposium aims to pool the activities of TU Dresden researchers with those of renowned Japanese universities and institutions. The event is a joint project of Kobe University, Kyoto University, Osaka University and TU Dresden. The ties of collaboration linking Dresden to Japanese universities and research institutes have many individual strands – during the last four years, the School of Science of TU Dresden has considered research contacts to Japan to be a strategically relevant focus; for this reason, a great number of joint research projects, guest lectures and lectureships as well as a variety of continuing education formats for young researchers, PhD and masters students have been developed. Meanwhile, more than 50 experienced and junior researchers from Japan have been involved in different projects. They are one of the target groups of the Symposium. Furthermore, iJaDe 2018 extends a warm welcome to all Japanese scientists interested in forging new contacts with those researchers of TU Dresden who are organising the Symposium. Moreover, the Symposium will welcome Japanese Alumni of German Universities, e.g. researchers who are former fellows or awardees of German foundations or who have spent some time in Germany, studying or working on research as doctoral candidates, post-doctoral researchers or at a more advanced stage of their careers. Thanks to funding by the Alexander von Humboldt Foundation, participants who meet these criteria are eligible to apply for additional financial support. The Symposium is hosted by Kobe University, Kyoto University and Osaka University. Please keep in mind that, due to the interdisciplinary nature of the event, several sections will be running simultaneously! Kobe Area map © n.a. Kobe City map (German language) © n.a. Map to Takigawa Memorial Hall, Kobe University © n.a. Map to Takigawa Memorial Hall, Kobe University (Japanese language) © n.a. 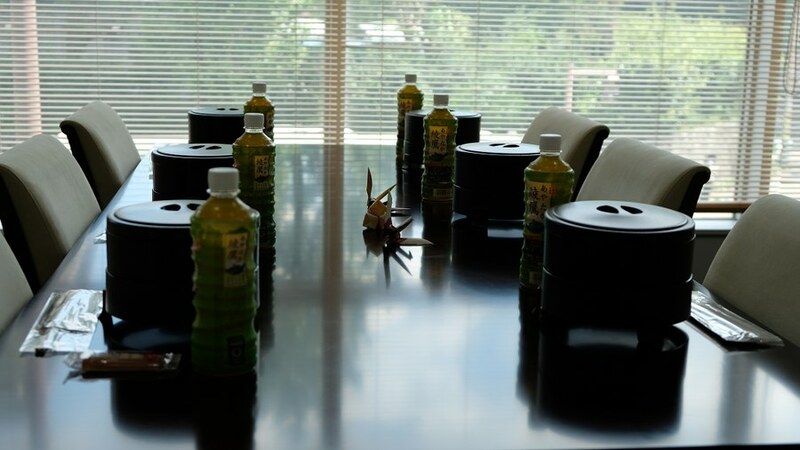 Coffee breaks and lunch are free for all Japanese participants. Furthermore, accommodation costs can be paid from the Alexander von Humboldt Stiftung budget; please inform Maria Richter-Babekoff if you wish to take this opportunity. For registration, please send us an e-mail! The structure of the specialist programmes is drawn from those thematic priorities that are important for the further orientation of the collaboration between TUD scientists and Japanese researchers. The specialist programme is subdivided into working panels according to individual disciplines. These working panels run in parallel and will include flash talks, scientific presentations and feedback sessions. The latter format is aimed in particular at junior scientists who will present their research and receive feedback from the German and Japanese experts present. Working Panel: In workshops that span the botany, zoology and synthetic biology, the intention is to establish and strengthen collaborative relations between working groups of TUD and top Japanese universities, in keeping with the motto "Science creates bridges". 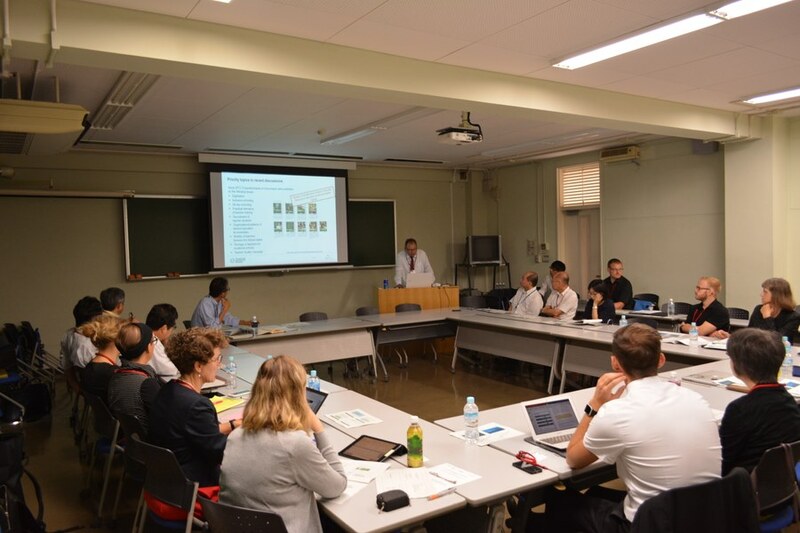 On the German side, the format is organised by Professors Schmidt, Zierau, Wanke, and Mascher and on the Japanese side, by Professors Nobuko Ohmido (Kobe University), Kiichi Fukui (Osaka University) and Kinya Akashi (Tottori University). Important botanical topics will include the application of genomic sequence data sets for basic research in chromosomes and evolutionary biology. Main research topics of the zoological working group are the effect and the potential of natural and synthetic substances and their influence on human and animal health, and the development of novel methods of detection of anabolic steroids. The synthetic biology part will bring together in vitro and in vivo approaches on “Engineering Life 2.0” at the level of proteins, microbes and animals. Histone dynamics in plant development and environment. Working Panel: From Molecules to Materials: Synthesis, Catalysis, Energy and Sustainability. The German-Japanese Symposium is intended to evaluate new opportunities for collaboration in the field of chemical technologies. The focus here is on novel molecules and materials that are important for energy storage, energy conversion, catalysis or resource-efficient processes. The workshop will take place at Kyoto University and is hosted by Professor Qiang Xu. Progress in science significantly benefits from interdisciplinary and international collaboration and networking. The satellite symposium brings together Japanese and German scientists from all chemical disciplines to encourage cooperation and exchange through minds. From synthesis to function, whether molecules or materials are involved, chemical science will further continue to unravel novel phenomena and provide solutions for a sustainable society. Please leave 5 minutes for questions! Working Panel: The workshop will focus on stochastic analysis and applications of stochastics to analysis. We are particularly interested in non-local and jump-driven phenomena that are decisive for the modelling of extremes (e.g. in finance, weather etc. ), branching phenomena that describe the evolution of ecological systems and are related to nonlinear partial differential equations, as well as multi-scale problems from the material sciences (microstructures, heterogeneous materials) where elliptic operators with random coefficients occur. 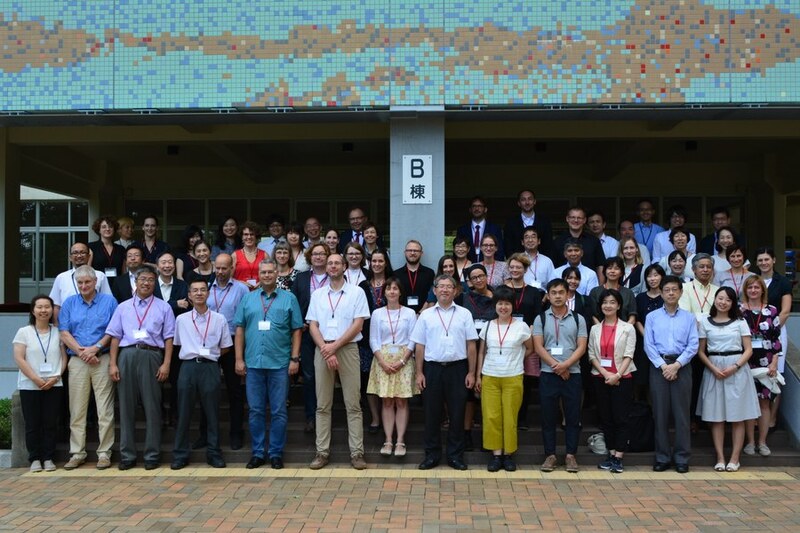 The workshop is organized by research teams at TU Dresden (Germany) headed by Prof. R. Schilling, Kansai University (Japan) headed by Prof. T. Uemura and Osaka University (Japan) headed by Prof. Y. Shiozawa. We greatfully acknowledge advice by and cooperation with Prof. M. Fukushima (Osaka), Prof. M. Takeda (Tohoku), Prof. T. Kumagai (RIMS Kyoto) and Prof. J. Masamune (Hokkaido). Since stochastics has numerous interfaces with non-mathematical disciplines, the workshop will be open to researchers and experts from all specialist subjects that will benefit from the exchange with the mathematicians from these groups. For more information, see the Mathematic's program flyer. The mathematics' workshop programme can be found on the TU Dresden's Chair of Probability's website. The latest status of the programme can be downloaded as PDF here. Working Panel: The workshop will present the current status of neutrino research and address some of the numerous questions that are still open concerning this elementary particle. The status of neutrino physics will be discussed during a two-day Symposium in Osaka. The specialist content will be covered by Professors Kai Zuber (TU Dresden) and Yoshitaka Kuno (Osaka University) and supported by representatives from the HZDR (Hideaki Takabe and possibly Daniel Bemmerer). The collaboration between the physicists Zuber and Bemmerer in the field of nuclear astrophysics is an example of the active interconnectedness of Dresden's scientific institutions belonging to the DRESDEN-concept alliance. Working Panel: The content of the format is designed by the Centre for Teacher Education and Educational Research (ZLSB). The two-day workshop in Kobe will focus on innovative interdisciplinary concepts for teacher education at universities in the interplay of science disciplines, subject didactics (in this case: especially STEM and STEM didactics) and educational sciences (psychology and pedagogy). Since 2016, the ZLSB has been developing collaborative relationships with Japanese partners, which are now to include professors from the STEM area. The BMBF (German Federal Ministry of Research and Education) project TUD-Sylber (synergetic teacher training in the context of the Excellence Initiative), co-ordinated by the ZLSB, opens up interdisciplinary research perspectives that will be presented at the Kobe workshop. These include, for example, research on the professionalisation of the task culture and the mixing of age groups in STEM teaching. Among other things, the Japanese researchers will contribute to research into the culture of the so-called “lesson studies” as part of the interlocking of the different phases of teacher training. Study on association of "the talks of children" and "the constitution of the mathematical knowledge"
Does empowering interactive learning through the collaborative learningschool system promote students’ well-being? In Germany for the last twenty years great efforts have been made to increase interest and motivation of male and female students in the area of science by establishing so-called out-of-school laboratories. These initiatives were accompagnied by research concerning the outcome. In this process teaching-learning laboratories in the context of teacher preparation were established where future teachers gain experience in guiding students in interdisciplinary learning arrangements. This contributes to the success of the laboratories and benefits future teachers providing own teaching experience. In addition to out-of-school laboratories other learning arrangements at places outside of school e.g. museums were established for interdisciplinary approaches. These include STEM subjects (Science, Technology, Engineering and Mathematics) as well as arts or social science showing the relevance of physics for everyday life. This workshop will discuss specific problems in integrating out-of-school places in regular school teaching and in organizing work at the out-of-school places themselves. Furthermore it will present examples how to design adequate university seminars for future teachers. Conservation of endangered species is the most urgent task to be solved for the global environment. According to a government survey, nearly 20% of Japanese citizens said that they did not want to cooperate with conservation of threatened species. To increase awareness of the issue of endangered species and how their survival relates to all citizens, it is necessary to develop accessible teaching materials. My research group has developed a picture-story based on the relationship between wildlife and humans, including a conflict perspective. In this article, the effect of our picture story will be considered. We focused on Asian elephants as contents of the picture story. I edited the final story into three minutes of digital video, and 37 people (undergraduate students, 18-19 years old) watched it. The students responded to the impact of the picture story on four main points: (1) ethical/moral aspect; (2) emotional aspect; (3) ecological aspect; and (4) visual appearance aspect. Regarding what they learned from the picture story, students brought up three issues: (1) humans’ impact on wildlife; (2) factors in the decrease in the Asian elephant population; and (3) how we should behave for future environment. Various species of animals are affected by different problems with respect to humans. I would like to continue research to raise the conservation awareness of people by focusing on other endangered target animals and different methods of providing teaching materials. The aim of this presentation is to give an overview about civic education in Germany. To talk about and understand how civic education in school and teacher training programs works, we need to focus on three steps. By the first step civic education is analyzed as a school subject with a very special history in Germany. Secondly it is important to take a look at the standards in the field of civic education. Therefore, we introduce two of the main standards: the process and the performance standard. Final we consider how civic education teachers are trained for the future. For this purpose the current circumstances, challenges and developments of civic education and teacher training will be discussed. Our interest is to develop the school lessons for cultivating citizenship which holds a balance of self -involvement and logical thinking in judgments on political issues. In Japan, as the age of voting rights has been lowered to 18 years, educational methods of civic education in the high school classes have been actively discussed. Especially, a following issue has been focused. It is the gap between guaranteeing students the political neutrality from teachers’ political opinions and motivating students to make actual political judgments and to participate in actual political processes. In this presentation, first, we introduce some representative or characteristic lesson practices of civic education in Japan, including our own practices. Next, we will make clear the prospect of solving the above issue. Finally, some discussions will be held based on political and educational history and current movements in Japan and in Germany. A central topic of teaching and learning research in Germany in the last ten years has been the heterogeneity of students in learning groups. The focus of many projects is on improving the learning conditions for all children in the school system - especially for those learners with special needs. In this context in Germany, and especially in Saxony, the focus is currently being placed on aspects such as language support, multi-age and integration of children with special educational needs. The lecture will introduce current developments in primary school mathematics based on these three aspects. So far, the German school system is characterized by a predominant tradition of separating children through a highly differentiated school system, which in addition to the regular school system teaches children with special needs in a special school system and separates children in the regular school system from grade 5 on according to performance criteria into various secondary schools. A changed approach to dealing with diverse aspects of diversity in schools is currently slowly being established in Germany, certainly not without opposition. This approach is mostly summarized in Germany under the keyword of an inclusive schooling, which means integrating children with diverse skills in joint classes. The effects of this altered image of learning also have a strong impact on subject-related learning, which are seen e.g. in special concepts for differentiated learning in primary school mathematics lessons. On the basis of this changed understanding of scholastic or subject-related learning, the lecture will introduce approaches that address the aspects above in relation to mathematical learning in primary school. "Active Learning" is one of the keywords to attract attention in school education of Japan now. It is intended to be improved to the class that a teacher does not pull a class, and it respects the independence of will of children. Specifically, "Classes centering on children's explanation and talking" is suggested. Keywords of "Active Learning" spread in a school, and a change came to be seen in the consciousness of the teacher. As a result, the scenes which children talk about increase by the classroom of the elementary school. However, it becomes the purpose in those classrooms that children talk and to be active. It is a problem that is class that "the purpose of talking" is lost for children and a teacher. It will be necessary to clarify "the talks of children" and association with "the constitution of the mathematical knowledge" in future. I am going to argue about the way of the talks of children related to constitution of the mathematical knowledge in arithmetic lesson of the elementary school in this workshop. Specifically, I clarify the state that mathematical knowledge is consist of the real class scene of the elementary school fourth grade (ages9-10) of Japan by the talks of children. One of the aims of the first stage of teacher training in Germany is to question and to break with implicit teaching routines (e. g. Petrik, 2009). By referring to the structural theory approach of teacher professionalization (Helsper, 2014) it seems to be problematic that student teachers may only practice teaching in ways they know from their own schooldays or which they have seen in their internships without reflecting on them (Hascher, 2012). Trying to solve this problem is the intention of the TUD-Sylber project “Teaching patterns in internships“. The research based on content analysis focusses on the question which teaching patterns dominate in the lesson plans that students write within their internships. The results will help to improve our courses offered at the university. Since different chairs of educational and subject-related didactics are responsible for the internships at TU Dresden, we will develop a seminar that focusses on linking the different teaching experiences students have and reflect upon throughout their learning biographies. The workshop section will give both an insight into the results of the content analysis of lessons plans and the seminar concept. In Japan, it is crucial issue to guarantee the quality of teacher education. So that it is necessary for teacher candidates to acquire basic abilities and competencies as teachers. Assuring the quality of student teaching programs would contribute to the accomplishment of such a goal. At Hyogo University of Teacher Education, the curriculum contains ‘practice teaching courses’ in each year between freshman and senior years in order to develop practical teaching skills among students. However, there had been no professional standards identifying the abilities and competencies necessary for becoming teachers, thus there had been no concrete achievement goals for each course of practice teaching. To resolve such gap in our curriculum, we had developed Teacher Training Standards and achievement goals for practice teaching courses, and conducted surveys for the students about how much their abilities and competences were formed through their coursework. As a result, the achievement levels of practice teaching courses had been accomplished for freshman-, sophomore-, and junior-years students, but the senior-year students had not reached their expected levels. Therefore, senior-year practice teaching had been increased from 2 credits to 3 credits (2 weeks to 3 weeks for student teaching), so that achievement levels of senior-year students improved, and the items such as “mostly acquired” or “moderately acquired” were more frequently used for their evaluation. As a future challenge, we would like to investigate the reasons why the 3-credit program enhanced the evaluation of students’ abilities and competencies. In particular, we would like to find out whether student teachers’ learning or mentor teachers’ instruction may be different, and whether there are differences in students’ confidence or self-efficacy regarding their teaching practice because of extending the period of student teaching in the senior year. Learning tasks and feedback strategies are considered to be backbones of instruction (e.g., van Merrienboer & Kirschner, 2017). Modern information technology allows designing a large variety of learning tasks and feedback strategies. Interactive learning task consist of a stimulus (e.g., an item stem) that requires learners to cognitively engage with the question or task provided in order to generate a response. In contrast to test-items interactive learning tasks offer not only response fields or options (e.g., multiple-choice options; gap-filling boxes), but also scaffolds students can access if they encounter obstacles in generating the response to the task (Proske, Körndle, & Narciss, 2004; Proske, Körndle, & Narciss, 2012). Moreover, they can be combined with interactive (tutoring) feedback strategies. Interactive tutoring feedback strategies combine elaborated formative feedback with tutoring and mastery learning strategies, i.e., they provide such formative feedback that makes learners aware of important gaps existing between their current state of knowledge and their learning goal. Additionally, they provide assistive elaborated feedback (such as hints, explanations, and attribute-isolation examples) that is aimed at tutoring students to detect errors, overcome obstacles and try more efficient solution paths. In doing so, interactive tutoring feedback strategies offer strategically useful information for task completion, without providing immediately the correct solution, and prompt the learner to apply this information to solve the learning task in the next trial. Furthermore, after successful task completion, they provide confirmatory positive feedback components (cf. Narciss, 2008; 2012a, 2012b; 2013; Narciss et al. 2014). Designing and evaluating (computer-based) interactive learning tasks and interactive feedback strategies is challenging (e.g., Goldin, Narciss, Foltz, & Bauer, 2017; Narciss, 2013). This talk will use insights from current projects (e.g., Serious-Game Serena Supergreen; Task Design in TUD-Sylber) to discuss selected challenges and their implications. Does empowering interactive learning through the collaborative learning school system promote students’ well-being? The impacts of small-group collaborative learning have been examined and found it relate to student achievement and positive attitude (Johnson et al. 1981, Roseth et al. 2008, Kyndt et al. 2013). Teachers are encouraged to use collaborative methods of instruction in the classroom increasingly. “Positive interdependence”, “face-to-face promotive interaction”, “individual accountability/personal responsibility”, “interpersonal and small group skills”, and “group processing” were clarified as the conditions of productive collaborative learning (Johnson et al. 1991). It is effective to build collaborative learning school system, and practice collaborative learning both inside and outside classroom based on these conditions. Teachers can involve their own devised classwork to the collaborative learning school system, and activate students interactive learning efficiently. In this session “group processing” will be focused on. Through group processing, students refrain their own support. The feedback from teacher or students promote students to be conscious of the relationship with friends for their better performance, share their pleasure towards achievements, and be encourage positive behavior. On the other hand, we identified that IKIGAI (Japanese originated well-being) affected university students’ self-regulated learning. IKIGAI (well-being) is composed by three factors (positive affect, challenge, social role). Group processing might be promoted positive affect, challenge and social role in their group. The mechanize of IKIGAI (well-being) and students’ performance will be discussed and expect future research and practice. This two-day working panel addresses staff members of Japanese universities who support the multifaceted processes of internationalisation. How to synchronise institutional frameworks? How to design joint solutions for problems that are structural in nature? How to standardise and multiply administrative expertise for projects going forward? What works well? Challenges? How to meet challenges?